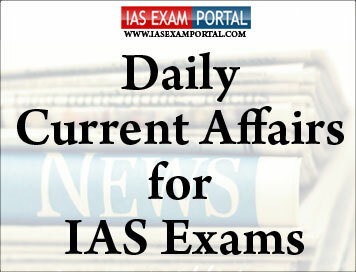 Current Affairs for IAS Exams - 15 September 2018 | IAS EXAM PORTAL - India's Largest Community for UPSC Exam Aspirants. “The underestimation of cases of leprosy and the declaration of elimination of leprosy has resulted in the integration of leprosy in general health services thereby leading to diversion of funds which would have otherwise been dedicated to eliminating leprosy,” Chief Justice Misra, who authored the verdict, wrote. Meanwhile, patients and their families continue to suffer from leprosy and its stigma. They are even denied their fundamental right to food. They are not issued BPL (Below Poverty Line) cards to claim the benefit of various welfare schemes such as the Antyodaya Anna Yojana (AAY). They are deprived of housing, basic civic amenities, adequate sanitary facilities and rehabilitation programmes. “At present, majority of the populace afflicted with leprosy live as a marginalised section in society, deprived of even basic human rights. This manifestly results in violation of the fundamental right to equality and right to live with dignity,” Chief Justice Misra observed for the Bench also comprising Justices A.M. Khanwilkar and D.Y. Chandrachud. Doklam final report commends governments role in handling the crisis. A report by the parliamentary panel on External Affairs, headed by Congress leader ShashiTharoor, has expressed concern that Chinese infrastructure built close to the India-Bhutan-China tri-junction has not been dismantled, but “commended” the overall handling of the Doklam crisis by the NarendraModi government. The tone and tenor of the report is distinctly different from the critical views expressed by many members during the deliberations. During the debate, the Congress members on the committee, including party president Rahul Gandhi, expressed concern that a setback has been spun by the government as a victory. However, sources said, it was decided not to include these concerns in the final report. At least two members of the committee confirmed that the Opposition members on the committee had said that while the Army’s reaction to the crisis was laudable, Indian diplomacy failed to measure up to the task, especially Prime Minister NarendraModi’s “no-agenda” meeting in Wuhan where he failed to even raise the Doklam incident. The committee said the government’s stand was “ambivalent” on construction activities in other areas on the Doklam plateau. The panel said the Indian government should not take the Chinese lightly at any point and “continue to monitor the Chinese activities along the border in general and the area in particular very intensely”. Indian family-owned businesses are among the best in Asia, accounting for more than 50% of the top 30 performers in terms of growth and profitability. Further, with a total of 111 companies and a market capitalisation of $839 billion, India is the third largest market globally in terms of number of family-owned companies, according to a latest study. Shares of Indian family-owned companies generated an average annual return of 13.9% since 2006, compared to 6% recorded by their non-family-owned peers, and such Indian firms, on an average, generated some of the highest absolute cash flow returns on investment across Asia-ex Japan group, showed an analysis by Credit Suisse Research Institute (CSRI). “The surveys show that family-owned companies have a greater focus on long-term quality growth than non-family-owned companies. Greater family ownership also tends to increase the use of longer-term financial targets for management remuneration and family-owned companies prefer conservative funding structures for investments,” it explained. The study defines a family business as one where either direct shareholding by founders or descendants is at least 20% or the voting rights held by the founders or descendants is at least 20%. Inflation-based on wholesale price index (WPI) eased to 4.53% in August on account of decline in the prices of food commodities such as vegetables and pulses.WPI inflation stood at 5.09% in July and 3.24% in August last year. As per data released on Friday, food articles registered deflation at 4.04% during the month under review while deflation in vegetables, pulses and fruits was 20.18%, 14.26% and 16.40%, respectively.Inflation in the ‘fuel and power’ basket was 17.73%. While inflation in liquefied petroleum gas (LPG) was 46.08%, in diesel and petrol it was 19.90% and 16.30%, respectively. “When taken together with the fall in CPI inflation number which has also surprised on the downside during the month, the data would help boost sentiments,” said Chandrajit Banerjee, director general, CII. He added that the decline in the inflation reading should induce the RBI to resume its accommodative policy stance. The Vice President of India, Shri M. Venkaiah Naidu asked Indians living in Serbia to play a key role in deepening India-Serbia relations. He was interacting with the Indian Community in Belgrade, Serbia on his arrival today. The Minister of State for Finance, Shri Shiv PratapShukla, the Ambassador of India to Serbia, ShriSubrataBhattacharjee and other dignitaries were present on the occasion. Calling the Indian Diaspora as unofficial ambassadors of India to Serbia, the Vice President asked them to play an important role in deepening India’s relationship with Serbia. You are the face of India in Serbia exemplifying to the people you interact with, the mind and heart of Bharat. You are the valuable human resource for India bringing in new Knowledge, skills and attitudes to accelerate India’s growth, he said. Talking about cultural ties and people to people contact, the Vice President said that he was impressed to learn about the interest of Serbian people in Indian culture, particularly in Yoga and Ayurveda. The Vice President said that he greatly appreciate the unilateral gesture of Serbian government to abolish visas for Indian nationals to travel to Serbia for short duration. I am sure, you are taking advantage of the e-Visa scheme of India launched in 2015 and further liberalised last year for business, tourism and health purposes, he added. The Vice President also apprised the gathering of the initiatives taken by the Indian Government for the benefit of the Indian Diaspora. He said that India is on the move and is witnessing transformation all spheres with its approach – Reform, Perform and Transform. With less than 10 days left for their presidential election, Maldivians are gearing up with mixed feelings, according to locals. The Indian Ocean archipelago will go to polls on September 23. Incumbent President Abdulla Yameen is seeking a second term, with a contest from Opposition presidential candidate Ibrahim Mohamed Solih. Promising greater development, employment and living standards, Mr.Yameen has been reaching out to young Maldivians, while his critics, who accuse him of running an authoritarian regime, are campaigning for restoring democracy in the island nation..
What the police are doing is feeding into the fear without trying to prevent any of it. Simulation exercises of civil unrest and violence have been taking place and even media don’t know if it’s real or not,” said Shahindha Ismail, Executive Director of the Maldivian Democracy Network, a human rights NGO. Meanwhile, the MDP on Wednesday asked the Yameen administration to ease visa measures for international media. Strongly denying the MDP’s claim that the visa process sought to limit the number of foreign journalists covering the presidential poll, the Elections Commission “noted with concern the false allegations”. Countries, including the U.S. and India have urged Maldivian authorities to hold a free and fair election, with the U.S. even warning Male of possible sanctions. Coming at a short notice, the Human Space Flight Programme or HSP is daunting and throws a different kind of challenge at the IAF, he said. "We have in-house capabilities at the Institute of Aerospace Medicine [IAM]; we have selected our cosmonauts in the past. IAM will play a key role in human engineering support and the development of the space crew capsule. It is fully geared up to whatever tasks it must do," Air Chief Marshal Dhanoa said at the institute's annual aerospace medicine conference. Indian Space Research Organisation, which is tasked with the mission, also called Gaganyaan, has earlier said its three astronauts will most likely be from among the IAF's test pilots. Air Chief Marshal Dhanoa said ISRO Chairman K.Sivan has discussed the project with him and the astronauts would be selected and trained at IAM and other places once the specific requirements of the flyers are finalised.